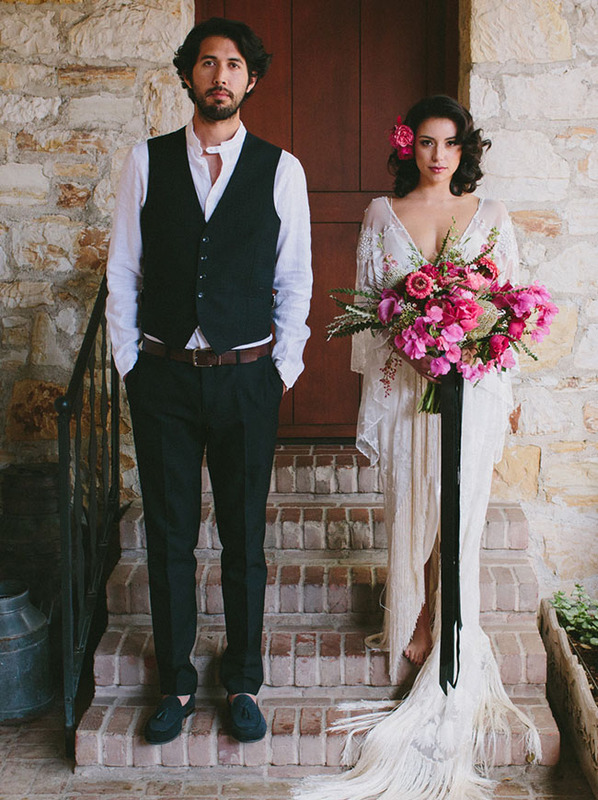 We are in love with today’s beautiful wedding inspiration, a fun spin on a Frida Kahlo inspired wedding by Sun and Life Photography, E Events Co. + Christine Cater Floral + Event Design. Their ideas grew after deciding on their location, Holman Ranch Carmel Valley, California, since they fell in love with its refined and gorgeous Spanish-influenced architecture. With visions of cactus, macrame, rich cognac brown leather, and bright pops of fuchsia the team began to craft a setting that’s sure to inspire. And while we know these creatives aren’t the first to take a stab at designing a scene based around the beloved artist, Frida, they really pushed the theme to new heights. They tell us, We find a lot of our inspiration from Frida and her work, and it was really important to us to create something fresh and different that had not been seen before. The use of bright colors were key, but we wanted them to be done in a way that we felt really represented the emotion behind Frida’s art.